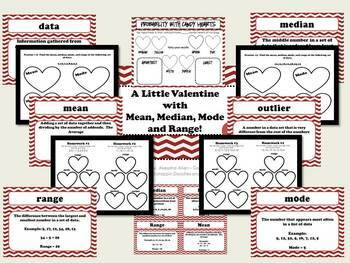 This is a great activity to introduce mean, median, and mode to your students. This mini - unit comes equipped with 4 practice pages and 4 pages of homework. It is a a great way to spend celebrating Valentines day while still learning. Students can work independently or in small groups.